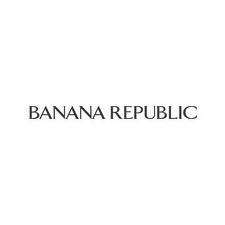 Banana Republic Canada Coupon Code: Save an Extra 25% Off of your purchases! Click here for the details on how to save an Extra 25% Off of your pur­chases at Banana Repub­lic Canada using the Coupon Code: BRC25SALE at check­out both in-store and online! Happy Shop­ping Canada, and thank you mas­ter­rocker for shar­ing this with us at CoolCanucks.ca! Banana Republic Canada Coupon ~ Get 15% Off $125 or more! From Sep­tem­ber 24th until Octo­ber 7th, Get 15% off your entire pur­chase of $125 or more at Banana Repub­lic Canada with this print­able coupon! This is a nice time to be stock­ing up for the Christ­mas sea­son which will be here before we all know it! Thanks to mas­ter­rocker for post­ing this won­der­ful coupon in our CoolCanucks.ca Coupon Forum!! Click here for your money-savings print­able coupon! Big thanks to vil­mark for post­ing this in our Cool­Canucks Coupon Forum! Click here to get your print­able coupon for Banana Repub­lic Canada to Save 25% OFF store wide on July 24th and 25th!